Are you looking to start or grow your own business? Become a FanCONNECT Digital & Mobile Marketing Reseller in your city today. The FanCONNECT Private Label Reseller Program includes everything you need to start selling Digital & Mobile Marketing to small businesses in your area, all under your own brand. in the US. More than 80% of them do NOT use Digital or Mobile Marketing Strategy and are looking for a fast, easy and affordable way to get more business. Small businesses don't have the time or know-how to build and maintain a Digital or Mobile Club themselves. They just want someone to to do it for them. FanCONNECT Digital & Mobile Marketing solutions are affordable, created and managed for the business and generates sales. We're more than just a technology partner. We provide everything you need to build a profitable Digital Marketing business. WHY SHOULD YOU BECOME A RESELLER? Our Reseller Program is perfect for anyone interested in starting their own business, or existing companies looking to expand their services by offering affordable Digital & Mobile Marketing services to their clients. Publishers of Websites, Coupon Book and Newspapers – add new revenue streams to your bottom line with Digital and Mobile Marketing. 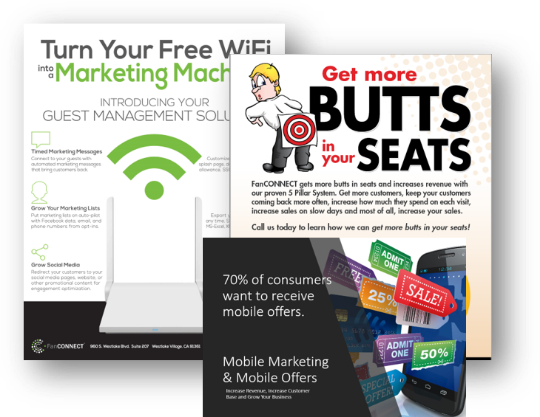 Sell Digital & Mobile Marketing Solutions to add value and increase revenue. 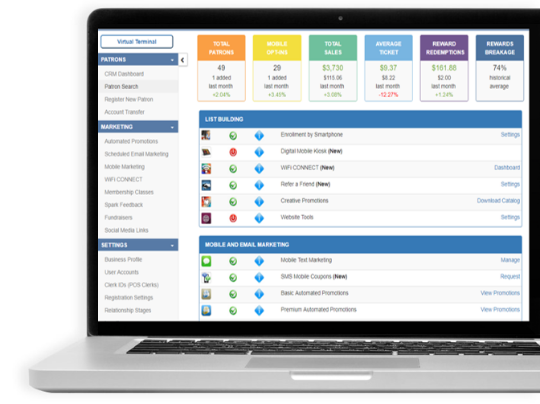 Build customer lists, automate marketing and drive new business. Close more sales by showing potential clients exactly what the platform looks like and does, instead of just talking about it. They'll be amazed with the system and your services. Businesses pay you an upfront setup fee followed by a monthly service fee to maintain their and run their Digital & Mobile Marketing. You set your own prices and earn a great income. We setup your Business on our platform with your own private URL and website. We got proven sales techniques and marketing materials. Create the Mobile and Loyalty Clubs in minutes. Use our in house marketing and design experts or DIY. Set your own pricing. We also provide credit card and check acceptance for you*. Our private label platform and services will help you provide an easy to use platform designed to build a customer list of consumers and automation to keep customers coming back, and earn a great profit on the platform and service. You will charge an Upfront Setup Fee - This is what resellers charge a new client for setting up their their Digital or Mobile Club. Which covers the cost of taking on that client, including the platform, setting things up, printed materials, and their Digital services. Most resellers charge anywhere from $300 – $1,000 and our suggested price is $299 for a basic digital or mobile platform. This is your business so feel free to charge what you want. Charge a Monthly Service Fee - The monthly service fee is what resellers charge clients on a recurring basis to keep their Digital or Mobile Marketing running, the database, automation services and for ongoing updates. This fee includes hosting, customer database, digital automation services and storage, statistics and reporting, support and the ability to login and make updates. You can offer to make updates and changes on behalf of your clients, adding more value to the monthly service. Generally, resellers charge anywhere from $299 – $499/month, and our suggested price is $299/month.